On my recent trip to Hokkaido, we went Fruit Picking and it was such an amazing experience.Getting a chance to pick fresh fruits such as Apple, Pear , Plums and Grapes in the midst of the nature was phenomenal. 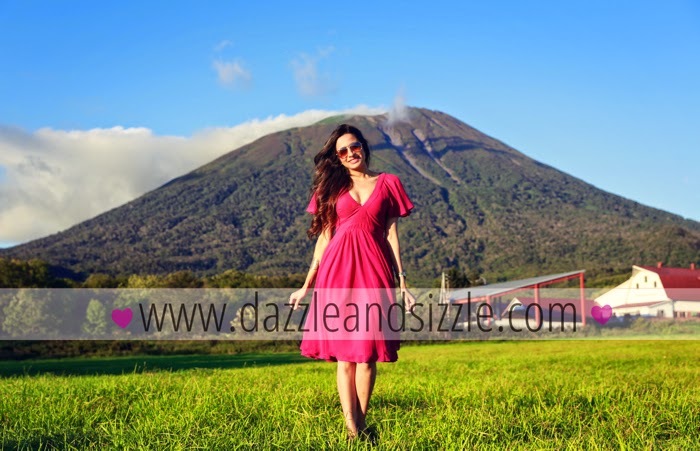 I wore a super feminine midi dress from Asos.com. Midi's have become ubiquitous , with almost all stores selling them. But do they look dowdy or fashion forward is for you to decide. 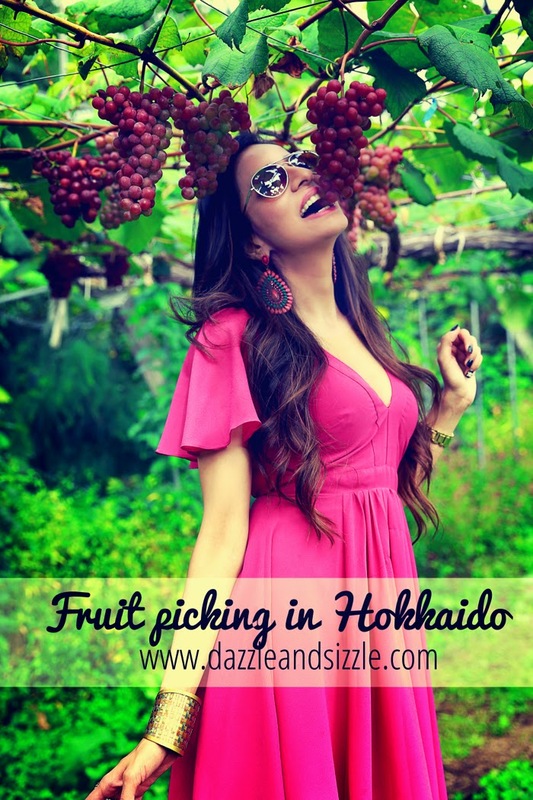 Great shots..you look great..fruit picking must be fun.. love midi dresses, this one's pretty as well..